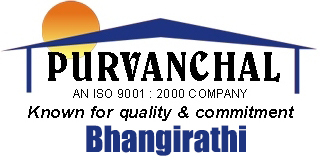 Purvanchal Group is a highly acclaimed construction company in India. Established in the year 1994, the company is reckoned for its unmatched quality in construction works that are based on latest industry trend. By having rich experience in construction industry, the giant has completed many construction projects of residential and commercial properties at different parts of Delhi/NCR. Purvanchal Group is an ISO 9001-2008 certified real estate company that holds vast expertise in building and construction works of all kinds. The firm has done well in construction business and has been developed top-quality properties, which are furnished from interior to exterior ends. Also, the giant is flexible to provide customized construction services as per client’s requirement. Over the years, Purvanchal Group has built many wonderful constructions in different parts of Delhi/NCR like at Noida, Delhi, Greater Noida, etc. Some of the top-most projects completed by the giant are named as Purvanchal Silver City, Purvanchal Royal Park, Purvanchal Silver City 2 and many more. All projects are world-class and have built strongly and look magnificent to cherish. 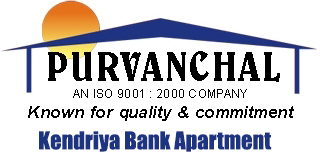 The Purvanchal Group since its inception at Delhi made a unique identity in the field of construction, development of the real-estate business. 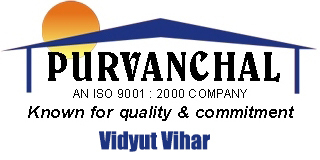 With 24-yrs professional experience the company Purvanchal Construction Works Pvt. Ltd created a solid presence in Delhi and National capital region. Begining with a mere 4 crore INR revenue company maintained a steady track of development, growth and transforms into a 100+ crore business empire as per data of the Year 2015-16. Purvanchal is a premier brand for mega-scale housing construction, real-estate development, group housing societies to the central government, public-sector entities, various Indian and multi-national business enterprises. Purvanchal Construction Works Pvt. Ltd is an ISO 9001:2008 certified organization with high global standards in product quality, aesthetics, durability, luxury, safety, and security parameters. In a nutshell, Purvanchal creating alluring abodes from the brick and mortar which leaves a long-lasting positive impression on the lives of its customers. Construction par excellence is the signature hallmark of the group which is driven by futuristic designs, luxury amenities, superb space planning, and incredible interiors. The glorious history of delivering multiple elite-category residential projects and a long list of successful project speaks for itself. Purvanchal group mainly active in New Delhi, Noida, and Greater Noida areas managed to deliver over three thousand five hundred apartments in different housing complexes. Purvanchal Group accredited for quality, commitment and 50 completed & under-development projects make a strong endorsement of the same. Flawless designs, cutting-edge architecture, and highest quality construction are the key strength of groups success. With a rich expertise in all core areas of big scale mass housing Purvanchal attain the level to execute world-class group housing projects. Be it a three-storied apartment, multistorey complex or high-rise mega housing, group has the required capabilities to develop projects of every size and types. Here, at Purvanchal tradition meets innovation, concept and ideas meets realization thus generating a unique artistic impression on all its projects. A customer is the soul of every business and Purvanchal Group main motto is to incorporate clients values, distinctiveness through its architectural designs. Purvanchal is well known for its matchless quality and unbreakable commitments also, a name you can believe and make your dream home a reality. The list of completed housing projects in Delhi NCR includes Purvanchal heights, Silver city, Silver city II, Purvanchal house, Silver Estate, and Purvanchal plaza. Completed construction projects comprises PMO apartments and many other prominent projects. Purvanchal Group is best known for creating modern homes, landmark residential complexes portraying the fusion of modernity and heritage traditions. Sector Chi V Greater Noida - Sq.ft. 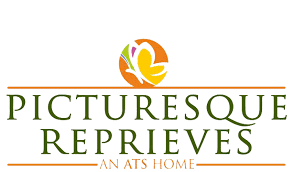 Gurgaon Sector 62 - Sq.ft. Sector 62 Noida - Sq.ft.